In the summer of 1978 convicted murderer Gary Tison (Robert Patrick) and his cellmate Randy Greenawalt (Chris Browning) staged a daring escape from an Arizona State Prison, with the help of Tison’s three teenage sons. Their murderous rampage through the southwestern desert shocked the nation with its brutality. While Sheriff Cooper (Bruce Davison) hunted them down, Tison’s wife (Heather Graham) vehemently defended her family in the press. "LAST RAMPAGE" features a chilling tour-de-force turn by Robert Patrick as Gary Tison in a terrifying story about the dark side of family loyalty. Director Dwight Little’s true crime thriller is based on James W. Clarke’s bestselling book "Last Rampage: The Escape of Gary Tison." The script was penned by Alvaro Rodriguez (“MACHETE”, “FROM DUSK TILL DAWN: THE SERIES”) and Jason Rosenblatt. Produced by Eric M. Breiman and Robert Patrick. Executive Producers are Dwight Little and Alex Hertzberg. Music by Richard Patrick and Tobias Enhus. 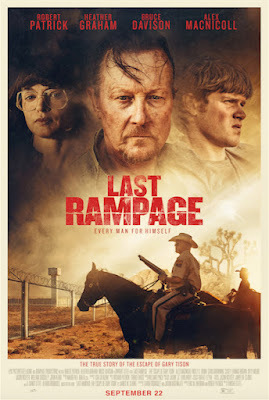 Robert Patrick, Heather Graham, Bruce Davison, and Chris Browning star in "LAST RAMPAGE," which is distributed by Epic Pictures. 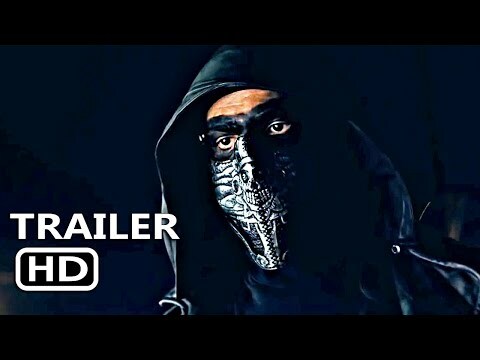 Established in 2007 by Patrick Ewald and Shaked Berenson, Epic Pictures Group has grown to become one of the most creative and dynamic independent studios, focusing on filmmakers’ vision driven projects, shaping them from script to launch via its domestic distribution division Epic Pictures Releasing. More recently Epic produced the psychological horror “THE LODGERS,” sci-fi thriller “RADIUS,” action horror “REDCON-1,” and the adventure thriller “THE MAN WHO KILLED HITLER AND THEN THE BIGFOOT” starring Sam Elliott.